The drive to Isla Holbox is much faster now that the new toll road was completed and opened in early 2016. This toll road cuts the drive time nearly in half. Drivers will have to stop at two toll booths; the first is 18 pesos and the second in 79 pesos. Starting on Calle 38 Nte, continue driving West to Ave Kantenha (3 km) and turn right (North). Drive to Av Luis Donaldo Colosio and turn left (West). 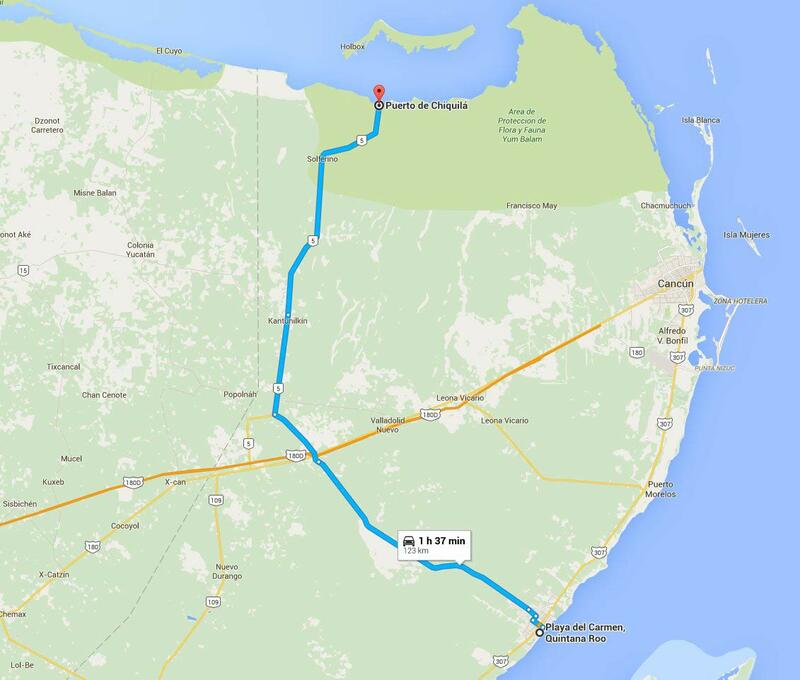 This turns into Playa del Carmen - El Tintal, continue to Quintana Roo highway #5 which goes to Chiquila. There are 3 small villages before arriving in Chiquila: Popolnah, Kantunilkin, and Solferino. Chiquila is the final destination by car. There are a number of secure parking lots in Chiquila village to choose from. The price is approximately $50 pesos per day. From here walk to the pier and either take a ferry ride (approx $140 pesos each way) or hire a private fishing boat to take you to your final destination on Isla Holbox. Tip: While driving on the new toll road keep your eyes out for rope bridges over the highway. These were constructed for the monkeys to pass over the highway without being harmed. If you are lucky you may spot one. Mayab buses leave from Playa del Carmen to Chiquila every Thursday-Sunday at 9.10am. In both cases the journey takes 2.5 hours. There are no toilets on these buses and it will make stops along the route. The Riviera bus returns from Chiquila to Playa del Carmen everyday at 4.15pm and the Mayab bus returns every Thursday-Sunday at 5pm. 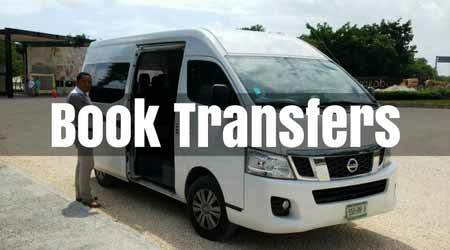 When you arrive Holbox take one of the GolfCar Taxis to your final destination hotel.